Taylor Lautner is so freaking sweet. He's so squeaky clean. I love that about him. He seems to be so hard-working and genuine. I guess this is the cynic in me, but he better be careful with this "look at me, I'm so nice and admirable" bit. One slip and he's the next Miley Cyrus. In the meantime, what a sweetheart. Still on team Edward, though. (Sidenote: Eclipse is just around the corner and there have been tons of Twilight news items lately, stay tuned next week ...) 5. 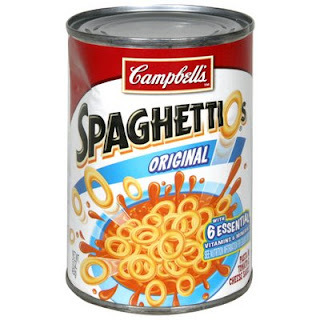 15 MILLION pounds of SpaghettiO's have been recalled. What the hell? 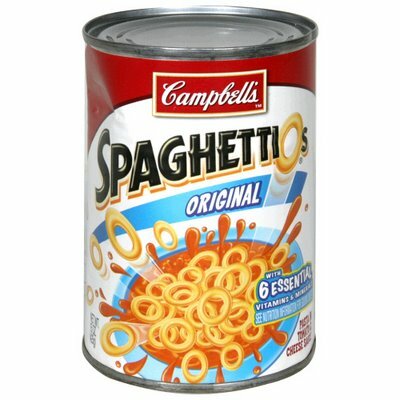 Apparently a lot of the cans of this stuff were "under-processed" and not suitable for eating. Who still eats these? Who knew that enough people still do that 15 million pounds have been recalled? This blows my mind. That's more cans of preservatives than I can get my head around. I'm a little grossed out at these, I can't even really recall a time in my childhood that I liked them. Son of B, that's a lot of SpaghettiO's. 6. 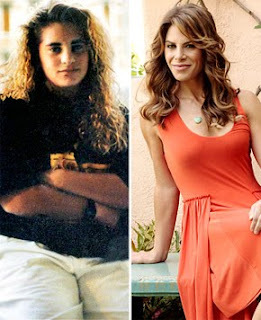 Jillian Michaels used to have hips like th e rest of us. I guess this isn't really news per se, but it renews my faith in the diet gods out there. You aren't just born hot. You have to work your A off. Or at least she did. I've long believed that famous hot people are just born that way. That's mostly because I'm a cynic. Maybe untrue. Maybe the world is fair. Happy Weekend! I'm going home to visit my Daddy for Father's Day! Make sure you tell yours you love him this weekend! I tried to stay up and root for the Celtics...I think I started getting too anxious at one point and had to change the channel. And I am not a fan of Kobe, probably for the same reason you point out!! 1. jm says ronaldo is the whiniest baby in the whole word cup. i vote for landon donavan because he's from the USA. although google image wayne rooney (england) for a laugh.